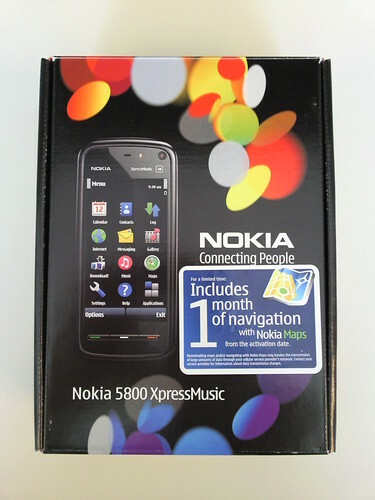 Hot on the heels of the Nokia 5800, Euro/Asian version that I used for 3 months, here are the unboxing pictures and video of the Nokia 5800, US version! I previously had a G1, then bought a Memoir and turned around and sold it after 3 days.. just couldn’t take the email, home screen. Now I should be getting my 5800 this coming week. Can’t wait. Thanks for the pics on unboxing!